Deseronto was founded on Loyalist, Mohawk, military and industrial roots, which has contributed significantly to its history, and continues to both define and be embraced by the Town today. Led by Deserontyon (Captain John), a group of Mohawks, supporters of the British during the American Revolution, in 1784 became this area’s first settlers. Lands to the east of the Mohawks’ reserve were patented by John Culbertson in 1837. He began selling village lots in his tract in 1840. Culbertson registered a survey for a village, “Deseronca”, in 1850, although the settlement was called “Mill Point” 1850-81. After 1855 Hugo B. Rathbun acquired many village properties and built one of the province’s earliest “company towns” here to house employees of his shipyard and sawmill. A county by-law of 1871 provided for the incorporation of Mill Point as a village. 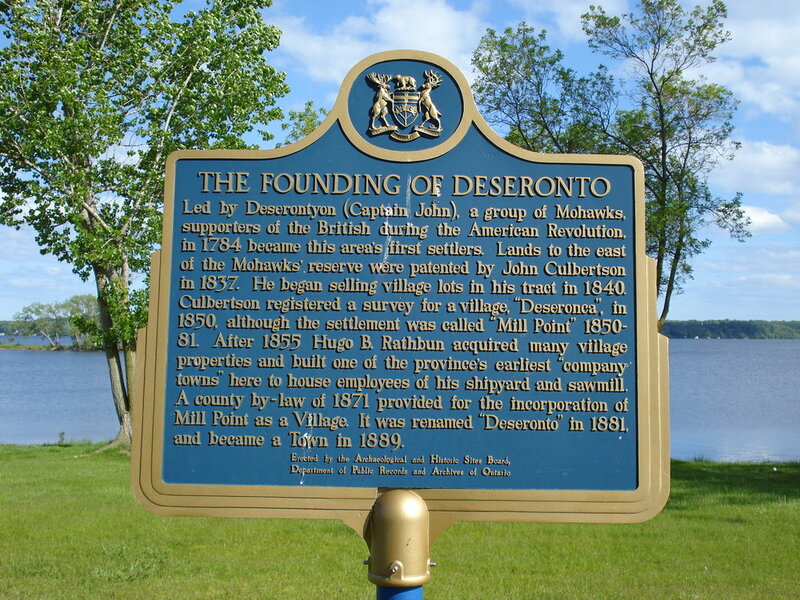 It was renamed “Deseronto” in 1881 and became a Town in 1889. - Caption from “Founding of Deseronto” heritage plaque located in Centennial Park. Elected as first Mayor of Deseronto in 1889 - led the company to great heights. At the peak of the company’s Deseronto operations it owned two sawmills; a sash, blind and door factory; flour mill; terra cotta works; chemical works; railcar works; shipyard; machine shop; cedar mill; grain elevator; coal shed, docks and wharves; a steamboat company, and railways including the Bay of Quinte Railway; Napanee, Tamworth, Quebec and Thousand Islands Railway. These influences are evident at every turn; from a wide array of historic and cultural sites, programs, and activities - to the town’s rich stock - to the town’s rich stock of 19th & 20th century residential and commercial properties. 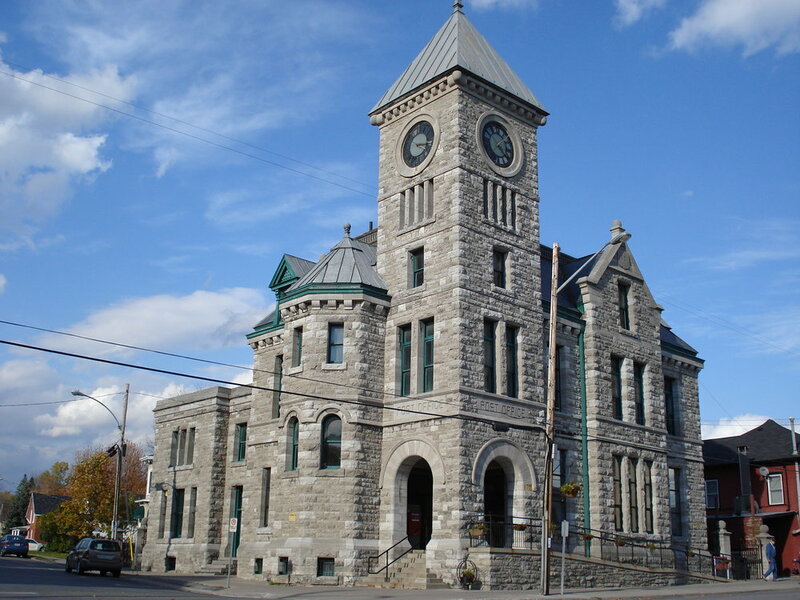 Constructed in 1901 and designed by Chief Dominion Architect Thomas Fuller, was designed to function as the Deseronto Post Office and continues to do so today; it also provided accommodation for the Customs Service, the Indian Agent, and living space in the third level for an employee or caretaker. Life in Deseronto, and in the third-level residential space, has been portrayed in Frances Itani’s novel Deafening (2003). Built in 1904, as a branch of the Bank of Montreal, the main floor housed the bank and offices, while the upper floors provided accommodation for a bank employee. The building became the Town Hall in late 1945, with the Council holding its first meeting there on November 15th. The design reflects the Queen Anne Revival Style, and key features include large plate-glass windows, slate roof, entrance stair with low, Kingston limestone wall and brass rail, impressive vault, and wood fireplace mantle in what is now the Clerk’s office with art glass in the flanking cupboards. 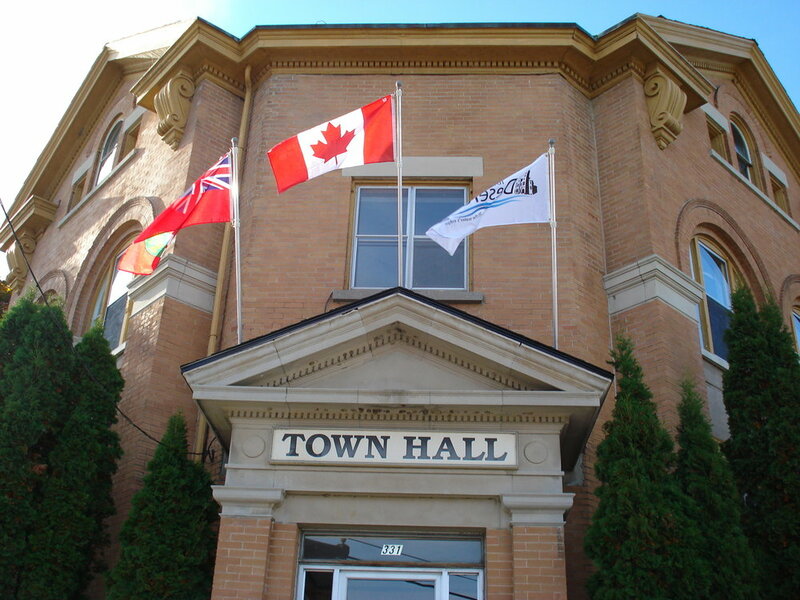 The Town Hall welcomes visitors, provides tourism and community information and is open to the public from Mon-Fri, 8:30am-4:30pm. 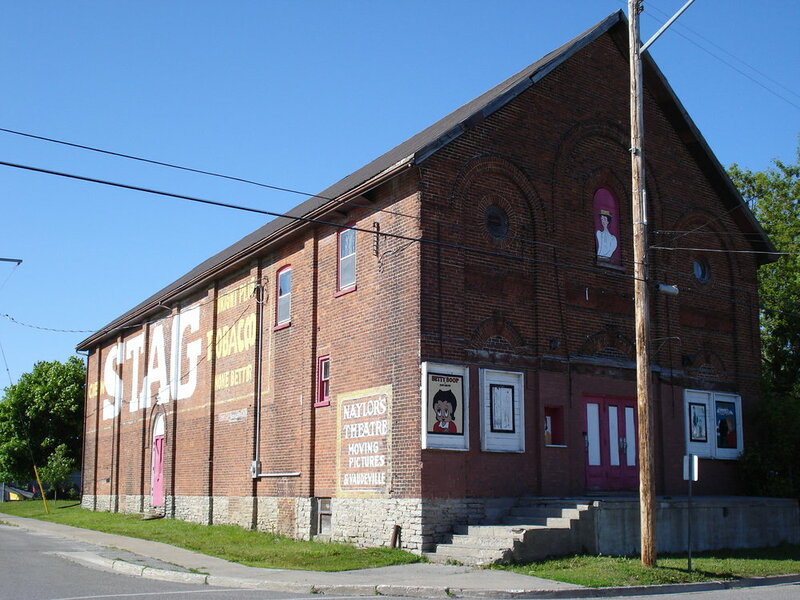 An iconic property bordering the eastern edge of downtown Deseronto, was once a Vaudeville performance theatre built in the late 1800’s that was the most prominent of its kind between Kingston and Toronto during its glory days. The Deseronto Arts & Culture Society is working to restore and re-open the theatre. Hollywood dancers, Vernon and Irene Castle, performed at Naylor’s. Vernon Castle was a flying instructor with the Royal Flying Corps at Camp Rathbun, a World War I pilot training camp located in Deseronto. During 1917 and 1918 Deseronto was home to a World War I pilot training facility (Camps Rathbun and Mohawk) which trained around 4,000 Royal Flying Corps fighter pilots. The pilot training camps are portrayed in C.W. Hunt’s novel Dancing in the Sky: The Royal Flying Corps in Canada (2009). Centrally located amongst many Bay of Quinte attractions including golf courses, recreation facilities, museums/galleries, provincial parks and nature preserves, trail systems, historic sites, points of interest, shopping and culinary experiences -come experience all Deseronto has to offer.